Contents-only Refill. Conveniently packaged to easily restock your Spill Kit. Includes a variety of sorbents to handle nearly any type of caustic, hazardous or unknown spill — including acids, bases, solvents and chemicals. Don't see what you're looking for? 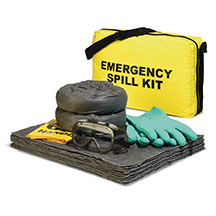 We can customize a Spill Kit or Refill to your exact specifications, including the container, its contents and accessories, with no upcharge! Contact your local Distributor for details. Contents-only Refill. Conveniently packaged to easily restock your Spill Kit. Includes a variety of sorbents to handle a battery acid spill. Don't see what you're looking for? 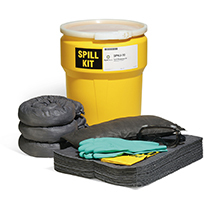 We can customize a Spill Kit or Refill to your exact specifications, including the container, its contents and accessories, with no upcharge! Contact your local Distributor for details.